Last Chance, Don’t Miss Out! It’s nearly May, which means one thing, it is time to make the annual trip to St Albans for the institution of Australian mountain biking, that is the Convict 100! 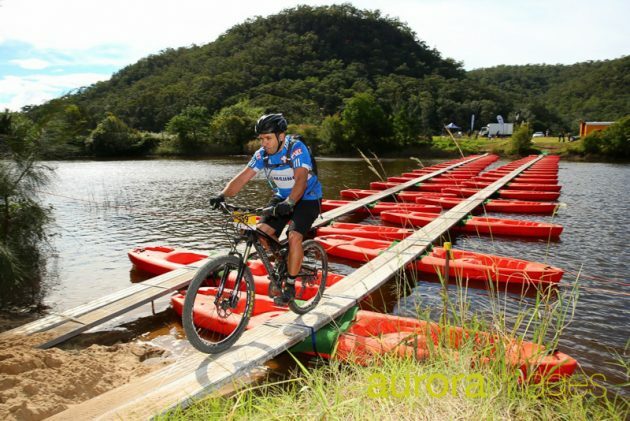 The sleepy town of St Albans will transform into a buzzing community of mountain bikers, comparing equipment and sharing a drink at the historic Settlers Arms pub before rising the next morning to gather around campfires in the early morning mist before hitting the course. Then onto the course… the sprint out of town, the scramble across the first creek crossing before the muscles really start working on the climb up Jacks Track. As you punch out of the mist the views open up as you swoop along the ridge line and back down into the valley. A short break along the road before the first aid station where nervous first timers will be eyeing up the kayak bridge while the veterans will be flying across without a care in the world. 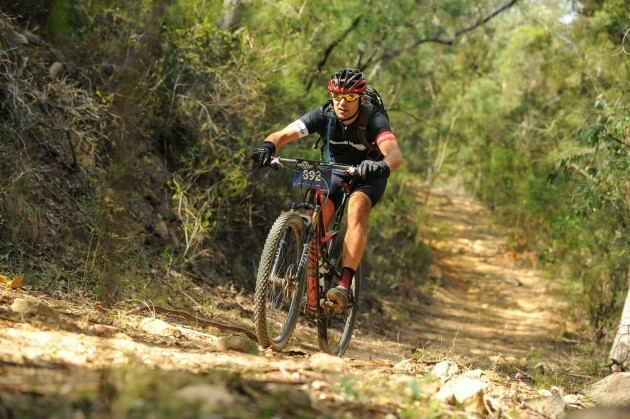 The 44km riders will then turn for home, a stretch of picturesque country fire roads, all that stands between them and the finish. The remainder of the field are soon climbing again, up Shepherds Gully with it’s pristine examples of masonry put in by convicts many moons ago to carve a road north of out Sydney. 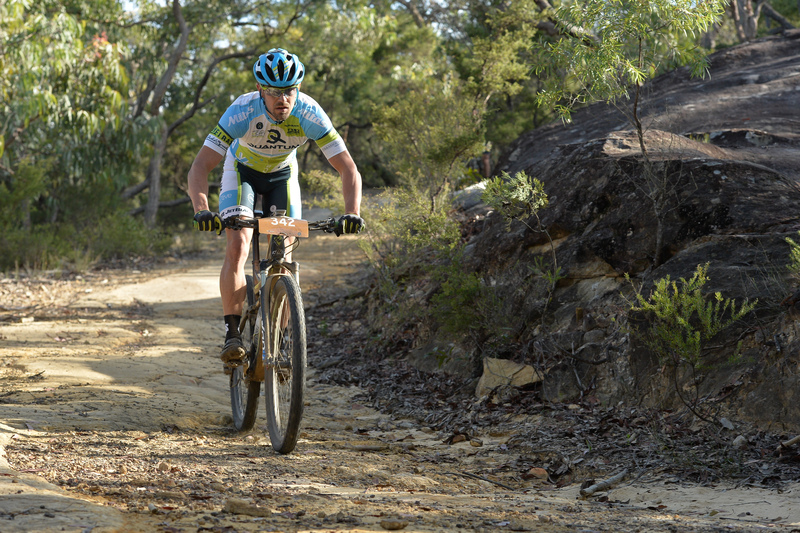 Then it’s onto the Old Great North Rd itself, rock gardens, narrow single tracks, and a whole lot of fun before popping out at the second aid station. Now it’s the turn of the 68km riders to tackle the gnarly downhill back to the valley floor while the 100km riders continue on, past the remnants of Claires Bridge and then further north, into territory not covered on a normal weekend ride. The track is wild and untamed, a real trip into the wilderness before they hold on down Blue Hill, named for its covering of blue metal. A real challenge at the end of a long day. 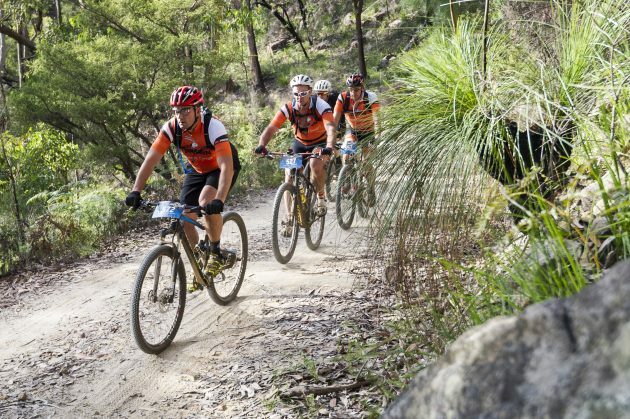 Eventually all the riders will roll back into St Albans, having completed an epic loop through the Australian bush. There they will swap stories of triumph and tragedy over a Wayward beer and applaud the winners before heading home knowing they had a real adventure weekend. Online entries close next Wednesday 2nd May so make sure your bike is in tip top shape, grab a couple of mates and plan a great day out on the trails.